This beautiful minty green druzy has loads of argentium silver draping around it in curls and swirls. Clasp is Bali silver. 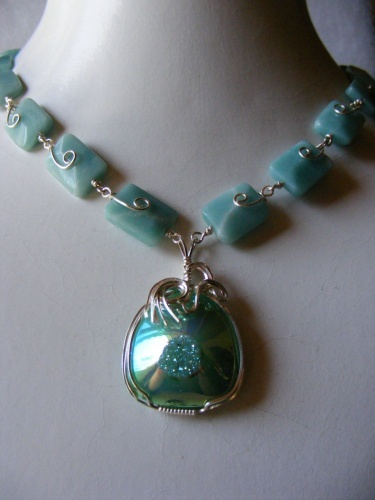 Necklace has amazonite stones and measures 18".